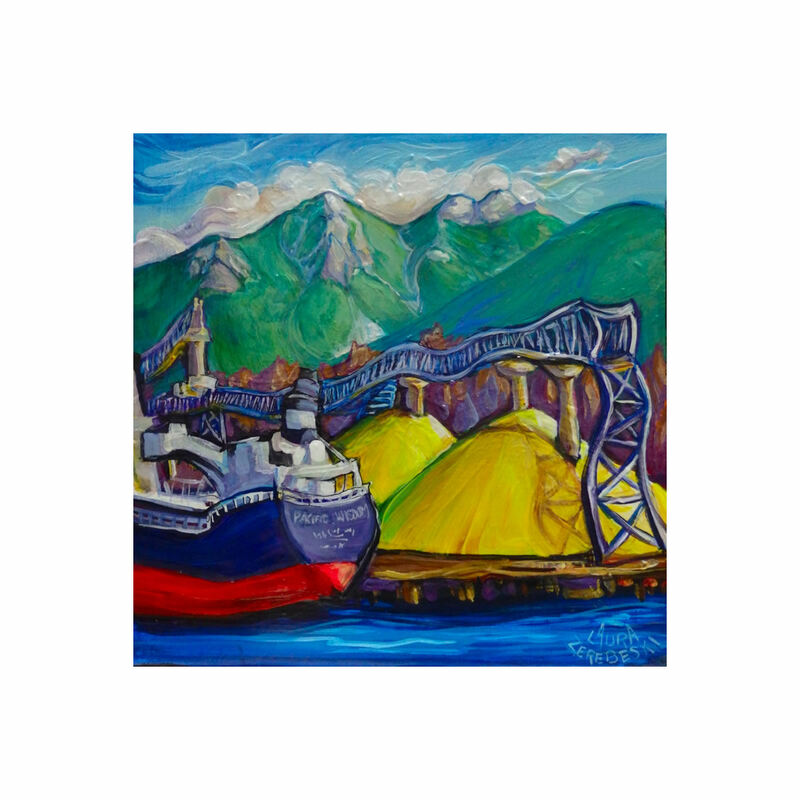 Vancouver’s sulphur piles mirror the North Vancouver mountains above them and are often the brightest thing seen on a rainy day. These particular piles are a byproduct of the oil sands business in Alberta. Sulphur is also a good binder in concrete, so it’s handy to have what with so much big tower construction going on. “Piles” is a colloquial term for hemorrhoids. And “sulphur” used to be called brimstone.